Posted December 8th, 2017 by Jeremy Dalton. 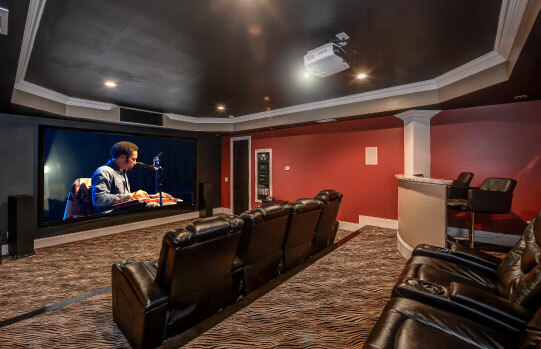 Right from Home Automation Systems, Theater Installation, Seating Integrator, Home Audio Systems, and Home Entertainment Systems, we, at Atlanta Entertainment Systems, are one of the most reliable names in the industry for such commercial and residential requirements. Regardless of whether you need consultation, design, repair, maintenance, renovation, or new installation, we do it all. We are a full-service low voltage contractor who can offer you comprehensive, expert, and experienced low voltage solutions that when combined together with our remarkable customer services, can turn your ordinary home into a smart one. So, how would you choose a company like ours? Take a cue from the tips given below. Before selecting a company for low voltage services, you must take the reputation of the company into consideration. Make sure they have been in the business for quite some time now and enjoy good ratings from the customers. You can go through the website, read customer feedback, and check online reviews and ratings before finally selecting the company. Next, you have to check what kinds of services are offered by the particular company. It is always better to opt for companies that offer a broad range of services, including both commercial and residential. Whether you are looking for network, data, structured cabling, voice, audio or other video solutions, we install all kinds of manufacturer-certified products. Look for a company that offers all kinds of services such as Home Theater, Lighting & Dimming Control, HVAC Systems, Television, Gaming, Audio/Visual, Wireless networking, Voice, Instrumentation Control, Security Alarm, etc. Pay attention to how they deal with the customers while choosing a company for your low-voltage services. Make sure the company keeps your needs and preferences first. Right from installing to consultation, make sure they give you a patient hearing and understand the importance of your predicament. So, don’t delay anymore, and quickly contact us at 770-744-5373 now, for your residential or commercial needs in Atlanta, Brookhaven GA, Buckhead, Fayetteville GA, Marietta, and McDonough. Low Voltage or Home Automation in Marietta, Brookhaven, Buckhead, and Atlanta GA. Offering Home Theater Installation with Home Theater Seating in Newnan & Griffin. Get Sonos!